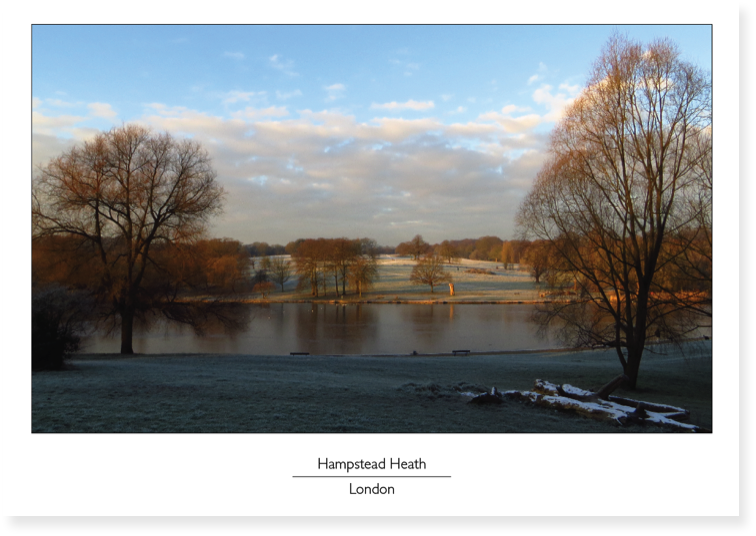 Welcome to our collection of top of the range photographic greetings cards featuring local neighbourhoods. These North London and Winchester scenes were taken by local photographers. We believe our cards stand out from the crowd. They are perfect to pen that special personal message or to send on those celebratory occasions like Birthdays, Christmas, and New Year - be it to family, friends, clients or customers. All the cards are superbly printed and are A5 (21 x 15cm / 8.25 inches x 6 inches). They are blank inside and are classed as a standard letter by Royal Mail. As you view the cards, and find ones you like, please make a note of the identification letter positioned underneath each picture. The View Cards button above offers a variety of viewing options however should you wish to view all 78 cards within the range, please click here.